As a daily commuter Speed ONE works. I know as a product designer on the team making the bicycle I am biased. But it really does work and it looks damn good also. When I was young, there was only one rule that applied to bicycle gears. The more, the better. As I got older and started using the bicycle more actively for races and also was responsible for maintenance this has changed a bit. I use the same bicycle for off road racing and commute and I am now down to 2 chainrings on the front gear, and looking to reduce this to a 1x11 setup. The trend is clear, fewer gears means that you can focus less on shifting and more on riding your bike. In addition, you get less maintenance and less weight. Fewer gears is good, but no gears (or one as some would say) is a whole different thing and something that many are sceptical about. But as a everyday bike commuter I had the perfect opportunity to explore first-hand what single speed bikes are capable of and the battle of 1 vs 22 gears. My engineering background has provided me with a love for metrics. This includes statistics knowledge telling me that an experiment with only one sample might not be very good, if we wanted this post released anytime this year and be enjoyable to read, we had to cut some corners. I used a GPS wristwatch to record my daily commute both on my MTB and the Speed One. Se the table below. 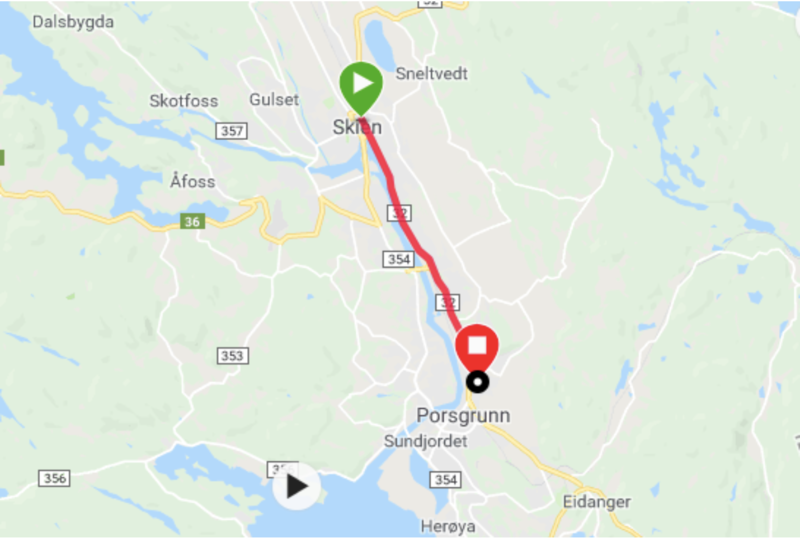 My commute is from Porsgrunn to Skien. About 8 kilometers. The route profile is pretty flat, with a few steep hills, about 70m elevation. First off, the Speed One is LIGHT. It weighs in at about 3 kg / 6 pounds less than my MTB. This is very nice when carrying the bike into the office building and in the stairwell where I live. It has a pretty aggressive geometry which begs for speed. Its steering is more agile than it is stable. It feels sporty and perfect for tight maneuvering in urban environments. Second, it is very stiff. It feels like all power you out into it is transferred to speed. It could be more comfortable but the sporty feel is very nice. The lack of gears took me about 3 minutes and one uphill to get used to. You will need to pedal a bit slower than usual but I had no problems getting both ways without getting of the bike. I was able to go comfortably at 28 km/h which is more than fast enough for transportation. In these speeds you need to output very much power just because of the wind drag, and the bike could really be geared even lower to make up hills easier. Oh, that is also what we have done on the production version of Speed ONE. I like the MTB because I can go fast over curbs, gravel and obstacles, and was a bit worried that the Speed ONE would require me to slow down. I have to admit that I didn’t go as hard as usual but a couple of curbs and gravel was no problem at all. It just didn't feel right to put this very nice looking bike through the abuse that my MTB gets. As you see from the table, the sporty feel had me going faster than I usually go with my MTB. From a practical point of view the Speed ONE is perfectly capable of filling my daily commute. 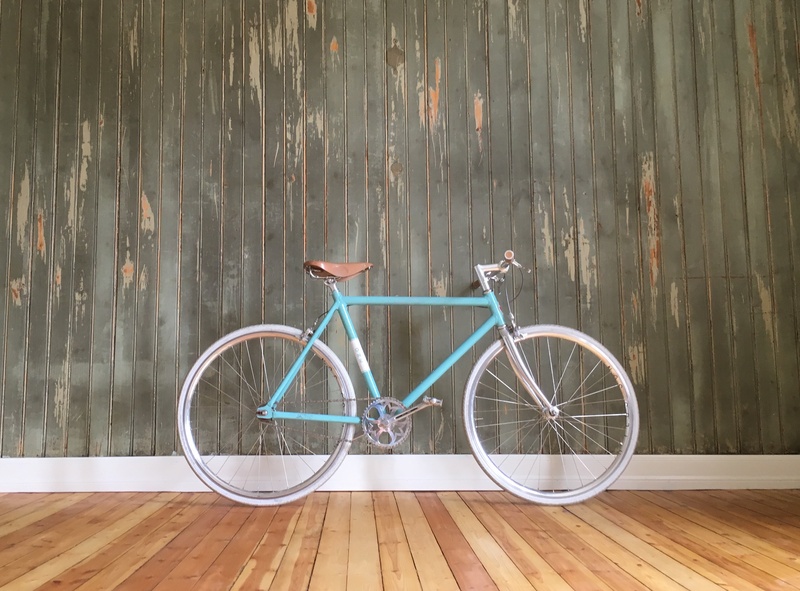 As a designer I am also interested in the look and feel of the bicycle. This is a very big point in this evaluation. Riding my MTB with everyday clothes looks practical, but not particularly stylish. The Speed ONE is a really nice bike and does a better job at making me look and feel good. I would compare it to choosing between a good old station wagon and a nice vintage sports car.